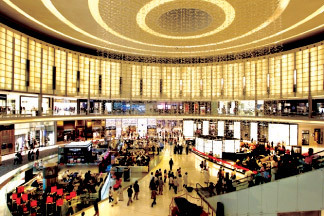 Sri Lankan shopaholics and leisure seekers who would like to experience ‘Dubai at its Best’ when the city hosts its 18th Dubai Shopping Festival (DSF) from January 3 to February 3, 2013, can do so at attractive rates on Emirates. 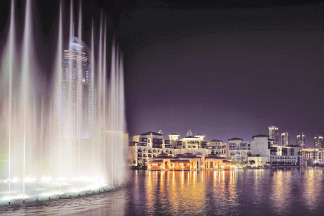 A key sponsor of this annual event, the airline has unveiled a series of accommodation packages that makes it possible for travellers from Sri Lanka who fly Emirates to spend three nights and four days at the world’s biggest shopping extravaganza, for just Rs 34,000 upwards per person, twin sharing. The packages cover accommodation on a bed and breakfast basis at a choice of 16 properties including three to five star city hotels, beach hotels and apartments. Among the participating hotels are IBIS, Novotel, Holiday Inn, Traders, Millennium Plaza, Crowne Plaza, Radisson Blu, Hyatt Regency, Movenpick and Rixos, Atlantis and One and Only, which are located on Dubai’s iconic, The Palm. Adding to the attraction of the offer is the fact that these packages can be combined with special fares valid for sale until January 10 2013. The package price includes a Dubai visa, personalised meet-and-assist on arrival, airport-hotel-airport transfers, room tax and service charges. Emirates passengers who purchase these packages are also eligible to receive special discounts on an extensive range of excursions within Dubai. Members of Skywards, Emirates’ frequent flyer programme are entitled to 20 percent bonus miles when they book a minimum of three nights on an Emirates Holidays package. Building on the success of its marketing campaign of last year, DSF 2013 will project ‘Dubai at its Best’ as its marketing slogan, signifying that the Emirate will showcase the best across all its sectors and services during the festival. Between January 3 and February 3, the 32-day extravaganza will paint the city with a festive mood through its unique blend of shopping, lotteries and entertainment, which includes international concerts, musicals, shows, sporting events and fashion shows. Emirates, which has been a major contributor to the success of the DSF since its launch in 1996, operates 21 flights a week between Colombo and Dubai. The Emirates route network now encompasses 128 destinations in 74 countries. US aerospace giant Boeing said Thursday it delivered 601 commercial aircraft in 2012, substantially more than the previous year, while it booked the second-highest orders in company history. Ramped-up production rates drove a 26 percent increase in deliveries from 477 deliveries in 2011, the Chicago-based company said, highlighting the level was the most since 1999. Boeing booked 1,203 net jetliner orders in 2012 and unfilled commercial airplane orders at year-end stood at a record 4,373, the company said. Boeing's 737 program of single-aisle airplanes, the aviation industry's best-selling commercial plane, set a new record for net orders in a single year: 1,124. Driving the increase were 914 orders for the new 737 MAX, equipped with a new fuel-efficient engine and expected to make its first flight in 2016. The Next-Generation 737 set a new annual record with 415 deliveries in 2012, Boeing said. Boeing looked certain to overtake European rival Airbus as the world's top airplane maker this year. According to the latest Airbus figures, in the year through November 30 the EADS unit booked 646 orders and delivered 516 aircraft. Boeing shares were up 0.7 percent at $77.61 in midday New York trading. Hong Kong Airlines announced Friday it will end its services to Tokyo in January, after it suspended flights to Osaka last October, to “tighten” its focus on regional routes. The company will axe its route to the Japanese capital from January 10 allowing it “to better allocate resources in servicing more popular routes and strengthen its regional competitiveness”, a company spokeswoman told AFP by email. “There is a need to continue to tighten focus on routes in line with the company's regional strategy,” she said, adding the airline had carried 30 percent more passengers in 2012 than the previous year. The airline described the move as a “purely a commercial decision”. China and Japan have close economic ties but their political relationship has been particularly strained recently due to a dispute over islands in the East China Sea and Chinese resentment over past conflicts and atrocities. Tensions over the Japanese-controlled Senkaku islands, which China claims under the name Diaoyu, escalated dramatically after the Japanese government bought three of them from private owners last September. The number of Chinese tourists visiting Japan plunged 33 percent in October 2012 compared to a year previously, to 71,000 visitors, according to the Japan National Tourism Organization. The Hong Kong-based airline was established in 2006 and operates 21 aircraft flying to international locations including Bangkok and Brussels, and to various locations in mainland China. It ended flights to London, serviced by three Airbus 320-200 planes exclusively fitted with business-class seats, last September due to poor demand.